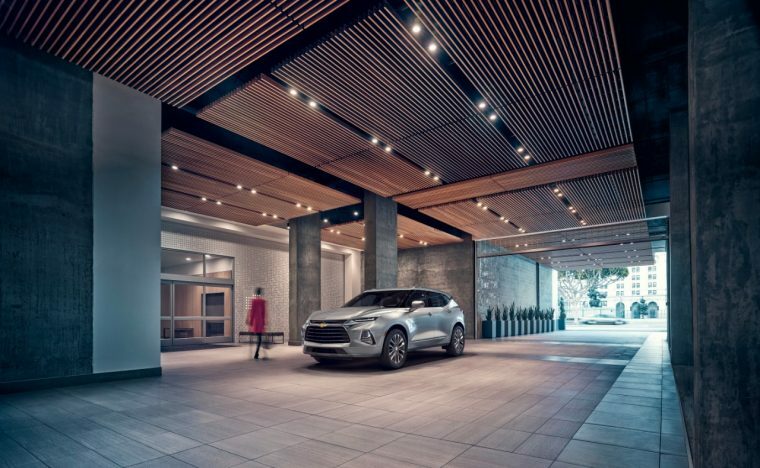 The 2019 Chevrolet Blazer is the latest vehicle to be added to the Chevrolet lineup. As such, it comes standard with some of Chevrolet’s top-of-the-line features. Of course, the Blazer will come offered with an assortment of available features as well. Among those optional amenities are heated and ventilated seats. These two features will come included with Chevrolet’s Enhanced Convenience and Driver Confidence II Package. These package is available for the Chevy Blazer RS trim level. Heated and ventilated seats won’t be the only features included with this package. For entertainment purposes, the package includes the new Chevrolet Infotainment 3 system paired with an intuitive 8-inch touchscreen and the premium Bose audio system. The Enhanced Convenience and Driver Confidence II package also includes a collection of Chevy’s most advanced safety systems. Those safety technologies include Adaptive Cruise, Forward Automatic Braking, and Lane Keep Assist. The Blazer’s Premier model, its range-topping trim level, will include heated and ventilated seats as standard features. This Blazer model reportedly comes with an asking price of $43,895. The Chevy Blazer’s standard trim, the Blazer L, has a starting price of $29,995. It comes with a long list of standard features, including an HD Rear Vision Camera, heated outside mirrors, GM’s Teen Driver technology, and 4G LTE with Wi-Fi Hotspot. In addition to the heated and ventilated seats, other features that drivers can add to the new Blazer include a heated steering wheel, a panoramic dual-pane power sunroof, and the Hitch View technology for trailering purposes. The Blazer will begin to appear on Chevy dealership lots early next year.